With most of our most prolific contributors unable to attend - no doubt all sunning themselves somewhere hot and exotic! - we have a small and select gallery this month! 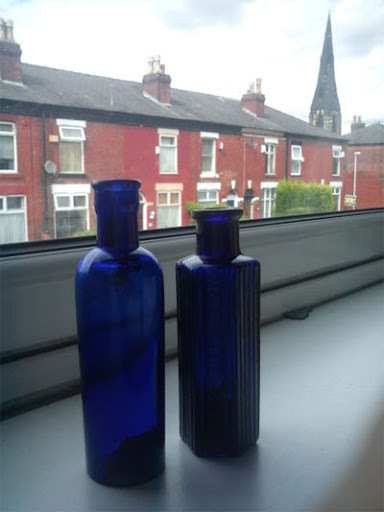 "Two more @Vintage_Village finds - blue bottles, but in a good way!" 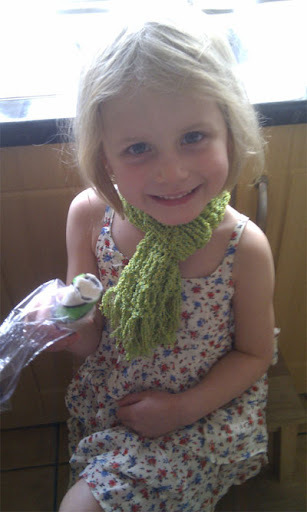 "My daughter eating her @Vintage_Village blackpool rock!" 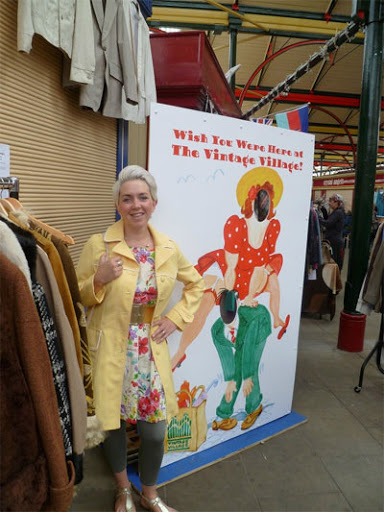 We couldn't enter @Sewabee in the Vintage Village photo board competition because she's not doing it properly! However, as she quite rightly points out, she "couldn't hide my lovely sunshine yellow vintage coat"! Read her blog about her visit and then go and support her incredible Make Do Not Spend charity fund-raising challenge. 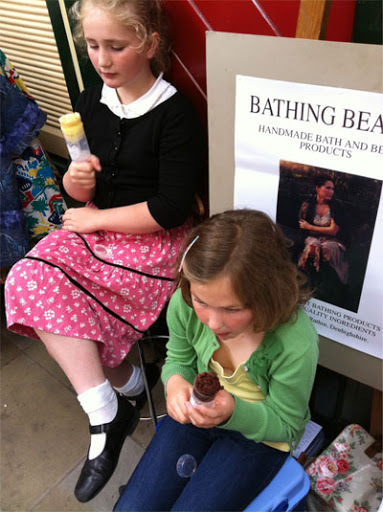 "@STCakeDesign my girls loving your cake push ups @Vintage_Village today." 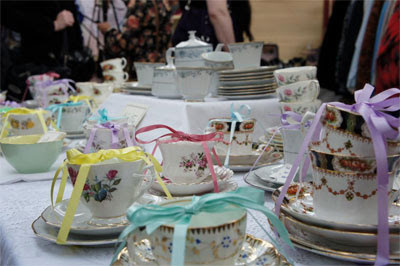 @AllieJohns captures @HighTeaTweets' stall full of pretty tea time china. 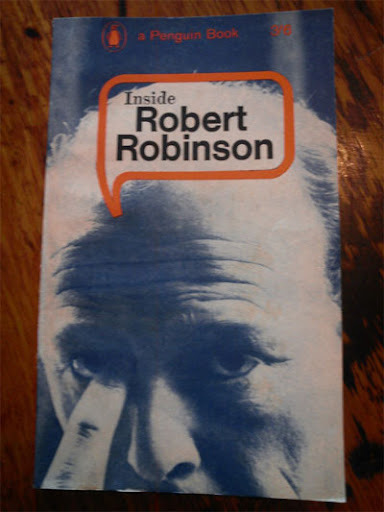 "Look what I found @Vintage_Village - had to buy it, in his memory #RobertRobinson."